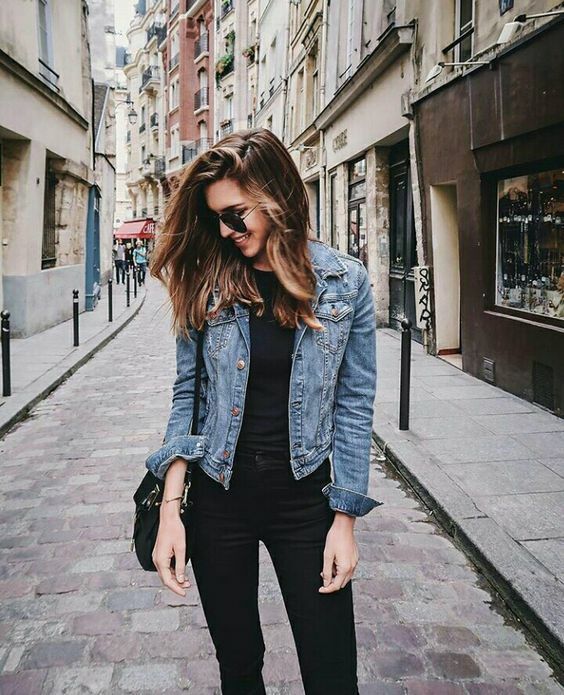 There is almost no outfit that I can think of that doesn’t instantly look fresher, hipper and more youthful with the addition of a denim jacket. It’s an instant de=frumpifier. And yes, I did just invent that word, but it was sorely needed. Anyway, a denim jacket can make the stuffiest outfit relax a little, which is quite an accomplishment from something with such humble roots. But of course you need the right denim jacket. The key, as with any essential items, is to go for versatility. The simpler and more classic the jacket, the more wearable it will be. Funky, embellished jackets are fine when you’re expanding your denim jacket wardrobe (is that a thing? ), but you have to check the classic box first. Not convinced? Check out the cutie-patootie outfits shown here for prooof that this essential deserves a place in every woman’s closet. There isn’t a wardrobe that wouldn’t benefit from this classic, but how to pick the right one? 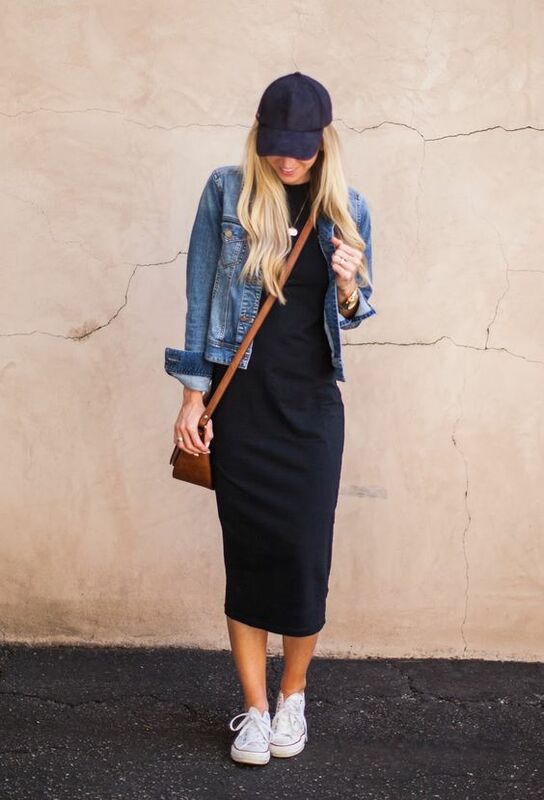 Look for a medium blue wash, classic denim details and no embellishments, special collars or superfluous lining. I rarely say this, but in the case of a jean jacket, the simpler the better. I told you the denim jacket was amazing? I hope one of the looks above has inspired you to break out your jean jacket tomorrow! Thanks Kath! I had all the colors first too, but that blue is the most versatile! 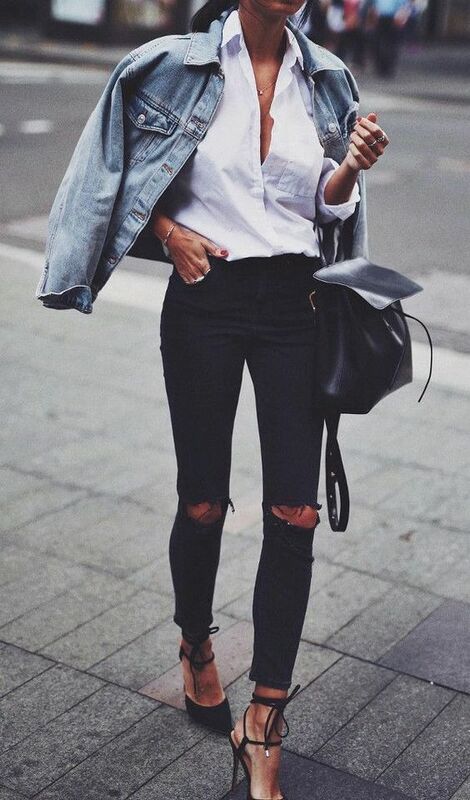 Love denim jackets! I have a white one, time to get a medium blue one now, thanks Nada!